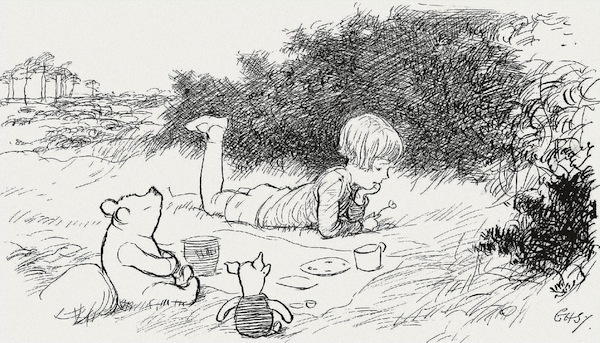 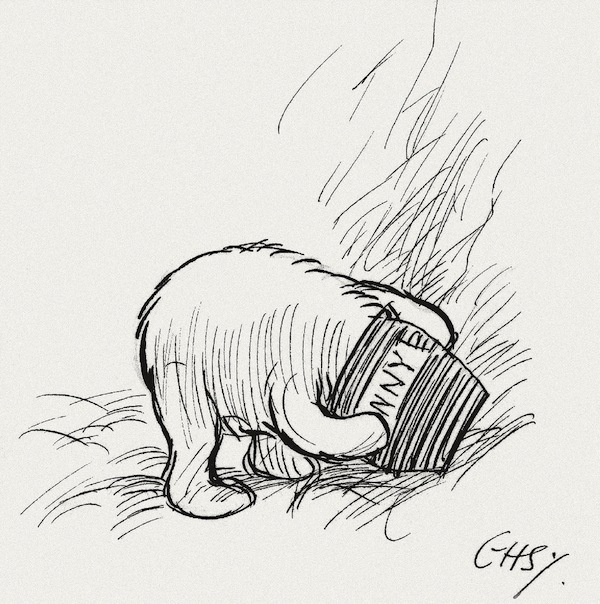 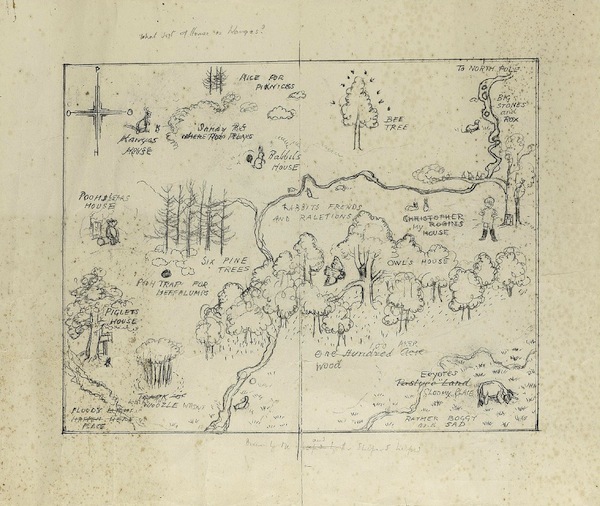 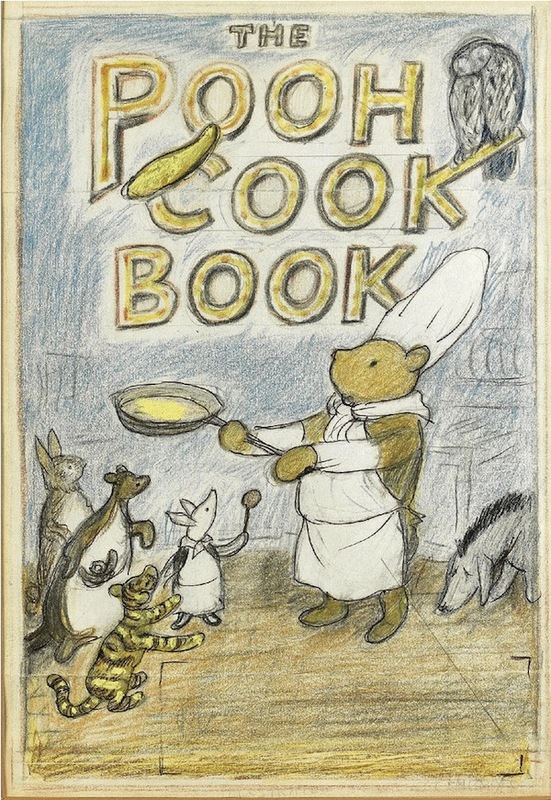 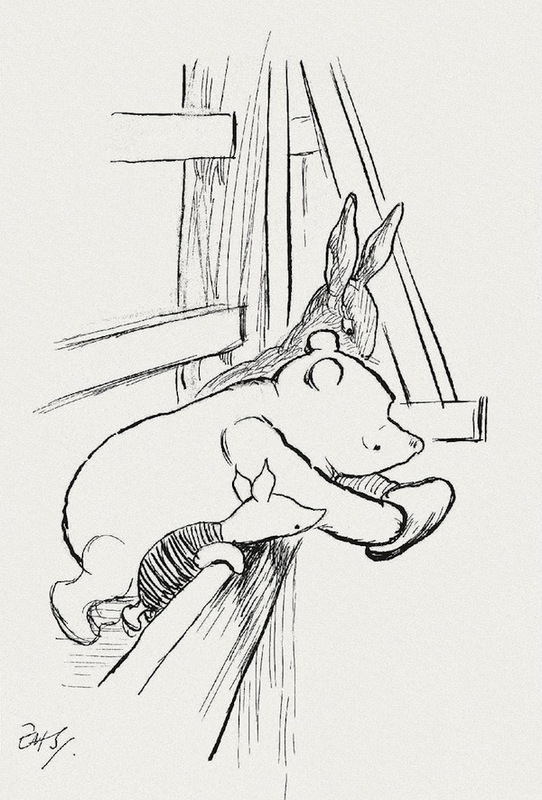 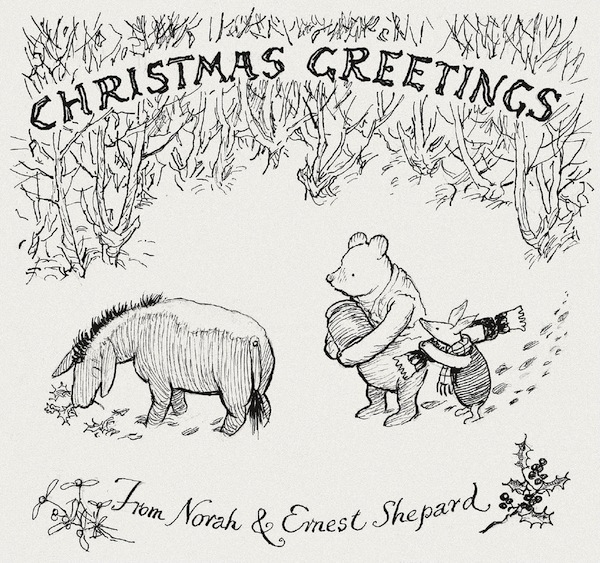 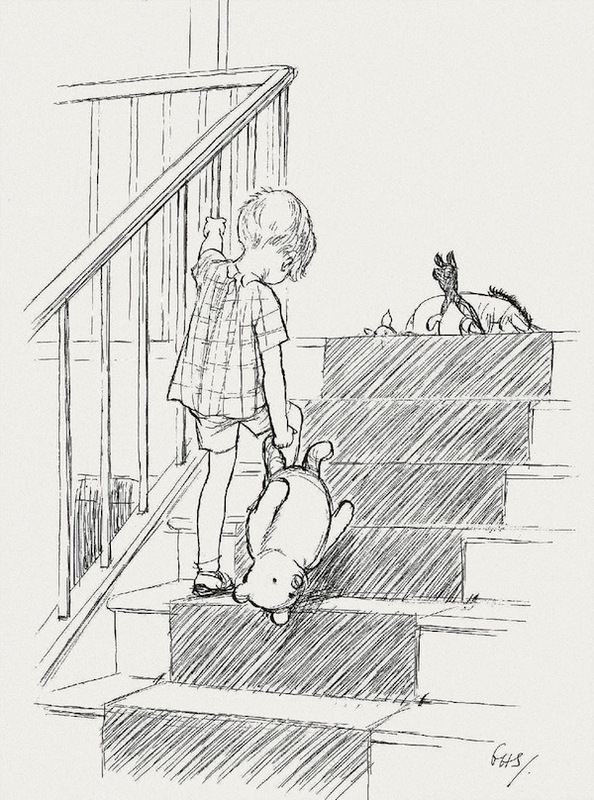 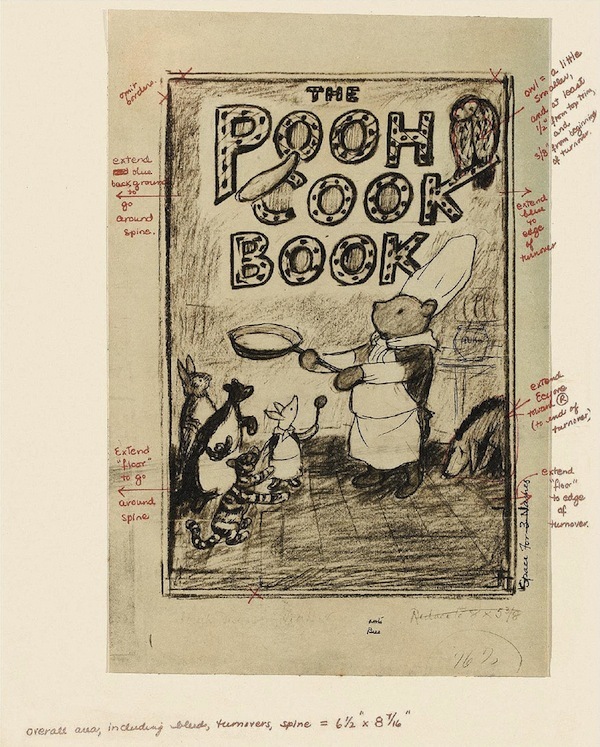 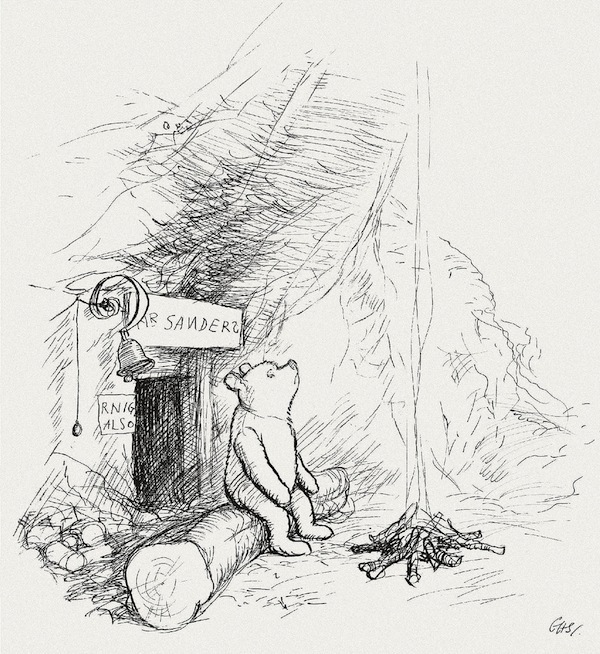 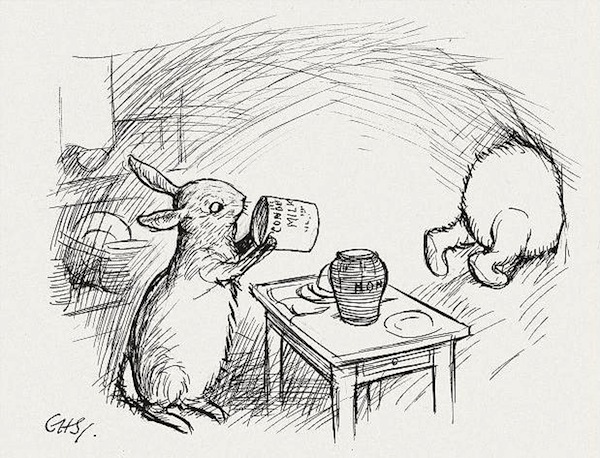 As someone who has always adored anything Winnie the Pooh related (from the books to the films to the tv show), I loved looking through E.H. Shepard's original drawings (found at BibliOdyssey). 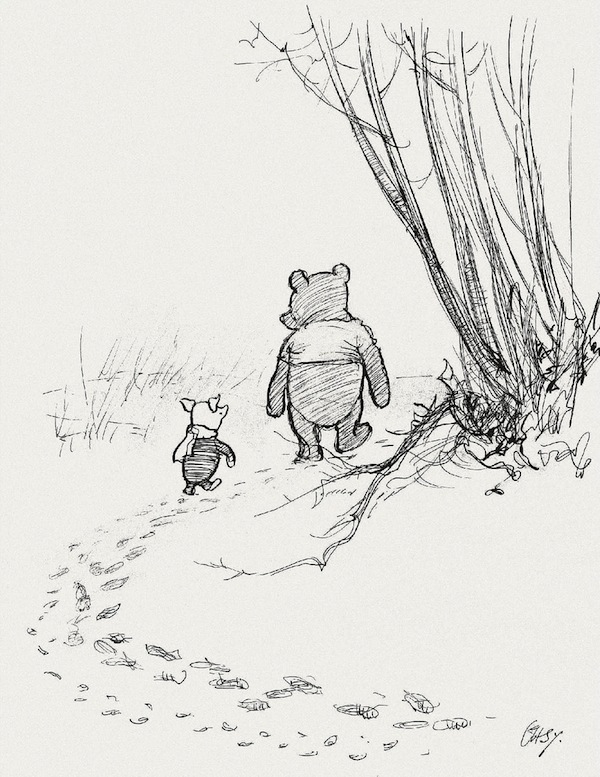 Books aside, did anyone else love watching The New Adventures of Winnie the Pooh growing up? 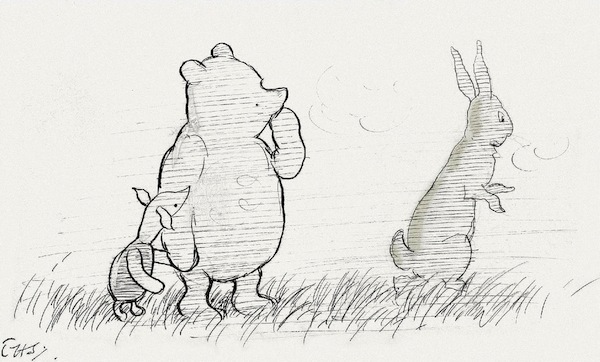 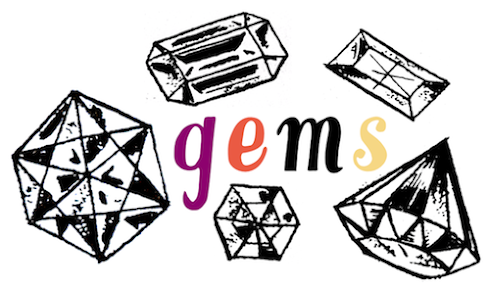 It was probably my favorite Saturday morning cartoon show. 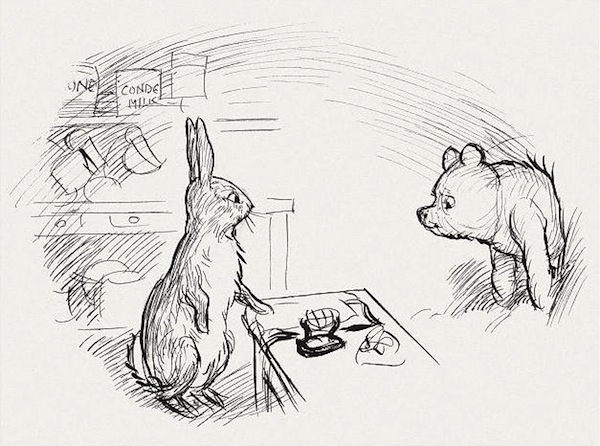 There was one episode where Rabbit adopted a bird. 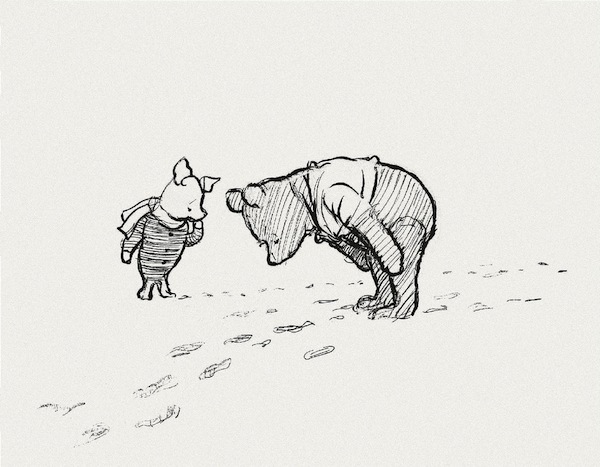 The bird eventually leaves, & I would cry every time I saw the episode. 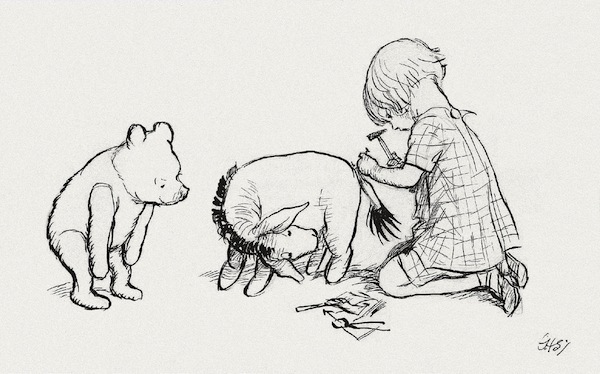 Thus started my life as someone who cried during movies / tv shows.